Japan is conventionally thought of as being a sedentary society, that views travel and travellers with curiosity, but suspicion. Japanese history, however, abounds with examples of itinerant groups: monks, storytellers, merchants, artisans, and gangsters, to say nothing of foreigners. It was often difficult to distinguish among these groups, since their spheres of activity — preaching, entertaining or exchanging goods — often overlapped. My interest in itinerant groups began with goze, blind female storytellers, with whom I spent several years in fieldwork, and continued with a study of itinerant storytellers in Japanese history. These two studies led me to other, similar groups. It was clear that the functions and significance of the groups both varied and overlapped, according to the specific contexts in which the groups acted. Regardless of how a group was defined (i.e., ‘merchants,’ ‘storytellers’), it was attributed a meta-significance directly related to the fact that its member were itinerant. Ambivalent attitudes on the part of the sedentary society at large, and itinerant group’s ambivalent self-defined identity and function, and consequent ambivalent self-presentation, characterized the relationship between group and society. Whether active in the holy of profane, the groups were regarded as deviant. Deviancy was related to both ‘positive’ and ‘negative’ activities. Viewed by contemporary society from aspects of both romance and terror, yakuza have been either the chivalrous descendants of Japanese-style Robin Hoods or murderous gangsters, supplying the heroes of both the gentle Tora-san and tough yakuza films. I made my first successful tekiya contact after several failures in October 1987 in Tokyo, at Hanazono Shrine’s Ōtori-no-ichi festival. I approached a fellow who looked authoritative and began chatting with him and his group, asking about their work. After some warming up, I told him about my research, and asked if he could arrange a meeting for me with his boss, or oyabun. He was obviously surprised, as were his fellow tekiya, being both confused and flattered by a foreign professor’s interest in their world. But it worked. He said he would talk to his boss who, he said, was a very special man. Three weeks passed. I then received a telephone call from him to say that the oyabun had agreed to meet me once, after which we would see. I met O-oyabun in November 1987 at a party of the group. There was an immediate accord (or en, as he put it) between us. He promised full cooperation, introduction to his kobun (gang members) and invitation to important events. He was as good as his word from then on. 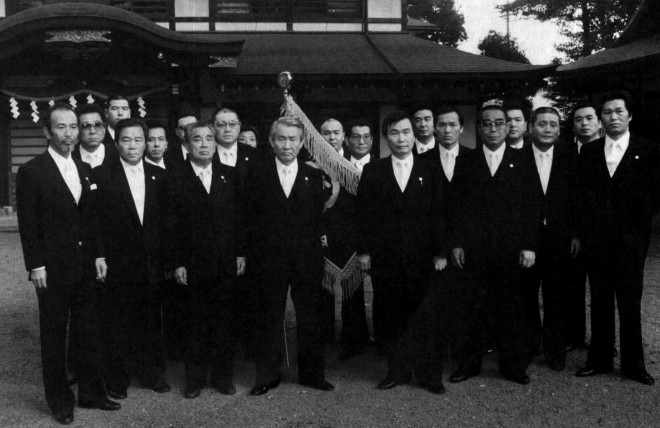 O-oyabun, a Korean-born, tekiya-yakuza boss, after five years of delicate negotiations had succeeded in ironing out a peace treaty among all the yakuza gangs in the Kantō area in 1983, a feat that earned him the nickname ‘Kissinger of the yakuza.’ Since then, all the Kantō bosses have gathered once a year for a grand feast (approved by the police) to reconfirm the treaty. Once a month, representatives of the various gangs gather to discuss matters of trade and prevent any misunderstandings. The chairmanship rotates from gang to gang. Al these devices were conceived by O-oyabun, and he is modestly proud of his progressive ideas. During my first interviews, O-oyabun was particularly eager to talk about ideology: The ‘Way of the Yakuza,’ ‘violating the law’ or ‘doing wrong things.’ The commandments of tekiya, the inner social organization, and their relationship with katagi (‘straight’) society. Numerous meetings followed, and with time, became less formal. I was able to observe and take part in many activities, visits to members’ homes and the group’s headquarters, and a three-week trip with a twelve-member tekiya group in Hokkaido. Three yakuza activities in particular, two of them specifically related to tekiya, demand special attention; it is to these activities that I now turn. Sakazuki, the cup-exchange, is the most important ritual in the yakuza world. Although declining in frequency in recent years, it still most fully expresses the ‘spirit’ of the yakuza, the will and determination of the members to strengthen the bonds of the organization, and the complexity of the rank and function of relationship. It is hardly surprising that police repeatedly attempt to restrict the ritual, or ban it altogether. As a result, the organization maintains secrecy regarding time and location until the last moment. I suspect, however, that the police are occasionally aware of these details. The ritual is highly theatrical, elaborate and symbolic event, somewhat resembling a Shinto wedding ceremony. At one end of the hall venue there is an altar, above which hang three scrolls representing three deities. The middle scroll depicts Shinnō, the patron deity of tekiya. On the right is Amaterasu, the Sun Goddess, and on the left, the present emperor. Shinnō is worshipped only by tekiya. Bakuto worship other deities, such as Hachiman, as their patron gods. Al yakuza groups, however, worship Amaterasu and the present emperor. A great deal of meticulous preparation goes into sakazuki; it is performed most solemnly, emphasizing religious elements such as purification. All participants use highly stylized language otherwise unheard in these circles. The ritual is followed, however with a boisterous, licentious feast. In between, there is a visit to the local hot spring, where elaborate, full-body tattoos are exposed to both fellow members and the occasional, ‘straight’ customers, to the great anxiety of the latter. There are three main types of distinguishing costume: The tattoo, kimono and western suit. Although, strictly speaking, the tattoo is not a costume, it’s use, design and significance place it in this category. Originally used to punish or stigmatize criminals, tattoos later became the trademark of laborers or those whose work involved exposing the body (porters, firemen). By the late 19thcentury the tattoo came to be the exclusive trademark of yakuza. By tattooing himself, the yakuza member declares that (1) he has passed the initiation rite and entered the order; (2) he has gone through a painful process, thus proving his perseverance and manliness; (3) he has performed an irreversible act; (4) from now on, he is going o bear on his body (with pride) the trademark of his order. He is ready to show (And to show off) his affiliation. The tattoo is a self-inflicted stigma. One declares oneself an outlaw, and outsider. It is one of the most exclusive signs on can wear in this modern age. Although covered by clothes, yakuza have many opportunities to expose the tattoo: on the beach, at the public bath and hot-spring resort. The choice of design themes expresses true Japanese spirit. The body is covered with figures from the mythical and theatrical tradition of Japan. Many times I have heard people expressing their nostalgia for the old-time peddlers exposing their tattoos at festivals. That was, they claim, something truly Japanese, indispensable to the festival atmosphere. It has gone forever, they lament. The kimono is ostensibly an inclusive sign: what could be more Japanese than the kimono? Yakuza wear kimono on special occasions — rituals, important meetings, or for commemoration photos. Thus the kimono serves a dual purpose: as the national costume, it denotes belonging to the Japanese cultural milieu. Moreover, since it is rarely worn by the modern Japanese male, it further denotes the ‘Japaneseness’ of its wearers. But, by its very rarity it also signifies the opposite; exclusiveness. Exclusiveness is further emphasized by the context of its use, for the kimono is worn in the most secretive and inner events. Thus, although as a unit of significance, it is a declaration of affiliation to Japanese culture, in its context it declares the ‘outsiderness’ of its wearer. Most modern Japanese men wear western suits in public, as do yakuza. However, yakuza tend to wear the more exaggerated, flashy suits, with colourful neckties. With the addition of expensive rings and sunglasses, and a close-cropped haircut, the end result is someone who does not look like a regular Japanese at all. On the contrary, he is conspicuously ‘other.’ By going to extremes one places oneself at the margin, observing the mainstream negatively, sarcastically, ironically or critically. By their appearance yakuza also demonstrate wealth. Considering the human sources of yakuza — juvenile delinquents, minorities or burakumin — it is only natural that they show off wealth and power. Another indispensable part of total appearance is the yakuza gait and stare, by which yakuza declare themselves as different, even before they signify anything more specific. It is learned appearance, and one can often observe youngsters actually ‘rehearsing’ it. The body posture, the gait and the stare denote three messages: withdrawal, defense, and threat. The last two would appear to be contradictory, and indeed they are. Here, too, self (yakuza) says to other (‘straight’): “I reject you. You threaten me, therefore I threaten you” (direct quotation). 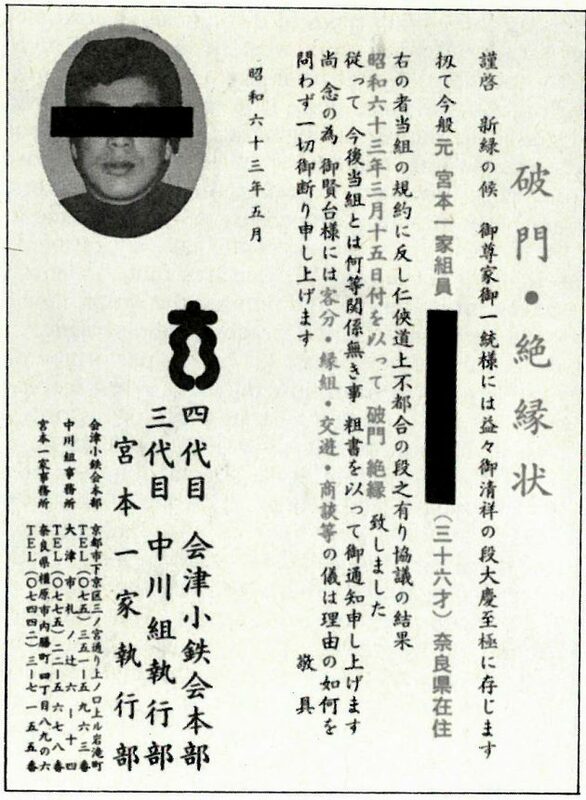 Members who have seriously violated the Yakuza code are effectively blacklisted by mailing postcards, which include their photo and name (printed in red) to every Yakuza office in Japan. In structure, ideology, ranking, oyabun-kobun relationship and other aspects, the yakuza society resembles conventional Japanese society. Indeed, it seems to be a crystallized form of a system practised in a milder way in numerous Japanese organizations and schools of art. The paternalistic structure, the surrogate family, the badges bearing the gang logo, the system of ranking, the business cards and numerous other signs of belonging are shared by both straight and yakuza societies. As an example, let us examine yakuza ranking. The following ranks are often used: president, supreme councillor, chief secretary, chairman of executive committee, chairman of public morals committee, head of the liason section, head of public relations section, chairman of discipline committee, etc. All these ranks and committees can be found in any large organization in Japan. Even when taking into account that some of the titles are euphemistic, or intended to cover up some dubious activities, the system does offer a clue to the structure of presentation of the self in the yakuza world. It shows good organization, with ranking most important to its members, as it is in other Japanese organizations. Informants eagerly check their order and rank, as it is published from time to time. 1. The very fact that a quarterly magazine is published by an underworld organization seems unbelievable to most foreign observers. A typical issue insides: 1. The oyabun’s foreword, usually about the philosophy of the organization; essays about honor, perserverance, relationship with katagi, and so on. 2. Photographs of recent rituals and parties: initiation, succession and treaties with fellow organizations. 3. In most issues there is a symposium of sorts, mostly about the more legitimate side of tekiya, street vending: “The Future of Peddling,” etc. 4. Reports on ‘diplomatic’ relations with other organizations. 5. Contents of nomination certificates. 6. One article on the life of the old yashi groups with vivid illustrations of street peddling. 7. Articles on practical matters, such as how to prevent AIDS. 8. Finally, every issue carries, without fail, the ranking of the organization. This is the most important information for members. Every issue carries a different image of Shinnō, the patron god of tekiya. Lately, drug warnings are printed in large characters, which indicates the policy of the organization toward drugs, and reveals at the same time a growing problem. An anniversary book, commemorating the 50th anniversary of the organization, was published several years ago. Half the book recounts the life of the group’s founder. The second half is a thorough history of yashi. The book is not for sale in regular bookstores, but is intended for inner PR. Both contents and editing were most professional. It could the commemoration book of any respectable company or art school in Japan. One of the most conspicuous forms of yakuza self-presentation is the kanban or signboard. As with other elements of self-presentation, this open way of announcing the group’s name, location, and affiliation is most astonishing to foreign observers. After all, yakuza is an underworld society; it has very good reason to conceal its activities and whereabouts. As from time to time there is a police crackdown, one might think that the organizations would try to make the police’s job as difficult as possible. However, we witness the opposite. The signboard openly announces some of the more vital information needed to locate gangs. This was accepted, until recently, by both police and citizens. The last few years, however, have witnessed several citizen movements to banish yakuza offices, or at least to remove their signboards from residential neighborhoods. From the standpoint of my informants, some of these moves order on violation of their basic human rights; a symposium was even held in connection with this type of concern among yakuza. Upon closer observation, the open display of signboards is no doubt the result of acceptance. Conventional society includes the outlaw, albeit in a limited way, in its culture and environment. As with any device of self-presentation, this too needs an audience. The meishi (business card) is another device of open presentation. Each card announces the umbrella organization, the direct branch, the rank of the member within his ‘house,’ and the address and telephone number of the group’s office. Yakuza business cards are usually designed with bold, decorative brush characters. The signboard and business card, of course, present more than net information. The signboard, taken metaphorically, is the face of the group. Thus, it is often said by yakuza bosses: “Do not stain the signboard with mud.” In other words, the signboard is, practically and metaphorically, the device of self-presentationpar excellence. 2. A symposium, “Yakuza and Human Rights,” was held by most host group following an incident in October 1987 which had angered the yakuza world. A local court in Hamamatsu City issued a decision prohibiting more than eight members of a local yakuza gang from assembling in a building they owned, offenders to be fined one million yen per month. Yakuza viewed this decision as a violation of their human rights. My host group decided to hold the symposium at a certain hotel in Tokyo. O-oyabun asked me if I would participate, giving me a free hand regarding any opinions I might express. Five people took part: two oyabun (one of them O-oyabun), two journalists and myself. Lasting more than three hours, the symposium was conducted like any academic seminar. It was fully recorded, and later published in the 1988 spring issue of their magazine (my opinions and photos included). Yakuza rituals, too, send ambivalent messages. As mentioned before, three deities are enshrined in tekiya sakazuki ritual: the god Shinnō, Amaterasu, the Sun Goddess, and the present emperor. Shinnō, being a foreign deity, denotes exclusiveness. In contrast, the other deities are purely native in origin and represent the ultimate symbols of Japanese culture. It certainly seems unusual for an outlaw organization to identify with these symbols, which are, after all, symbols of order and the absolute representatives of conventional and traditional Japanese values. But by displaying one exclusive and two inclusive objects of worship, tekiya express their double identity in Japanese society. The significance of the stranger god Shinnō (Ch. Shennung) is illuminating. As Shennung, one of the three mythical emperors of ancient China, he is said to have revealed knowledge of agriculture, music, medicinal herbs and the market to mankind. Closely observed, these aspects of knowledge are related to both sedentary and itinerant societies. Agriculture is a typical sedentary occupation, while medicine, music, and the market have bivalent attributes, connected with both the sedentary and itinerant. 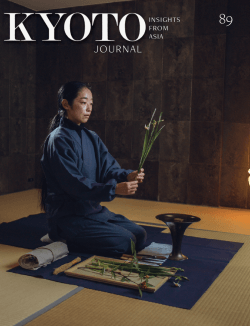 In premodern Japan, music was more often than not performed by wandering, often blind, musicians (biwa-hōshi, goze), so that the profession carries an image quite different from the often bourgeois one it presents in the West or in modern Japan. Medicine was sold by tekiya ancestors, yashi, in their remotest history. And the market represents, more than anything, the encounter between sedentary and itinerant societies. The self-presentation of yakuza, both for fellow yakuza and for conventional society, is only one aspect of the complex relationship between the two societies. Presentation, of course is communication, that is, ‘self’ wants to say something to ‘other.’ This fact is something many yakuza seem to wish to deny: “We do not wish to be understood by katagi. We have nothing to say to them.” Nevertheless, whatever the intention, yakuza are extremely preoccupied with presentation. Declaring, declaiming, and other forms of performing may denote a quest for communication with conventional society. Yakuza declare themselves Japanese, very Japanese, while at the same time being both excluded from Japanese society, and excluding that society. These two faces of yakuza communication, however, are two sides of the same coin. During the first days of 1989 I was invited by my host to visit the New Year’s festival at Daishi Temple in Kawasaki. The festival drew more than three million worshippers in three days. This, of course, means big business. As my host went around to offer New Year’s greetings, he introduced me to his fellow tekiya: ‘This is my younger brother; this is my elder sister; this is my ‘equal’ brother’, and so on. He was referring, of course, to the simulated family of tekiya. Tekiya refer to fellow members as ‘brothers’ (‘elder’ or ‘younger’ depending on the rank relationship, generally based on the order of entering the organization). ‘Equal’ brothers (gobu-gobu, literally ‘five-parts five parts’) belong to the same rank. ‘Elder sisters refers to the oyabun’s wife. While walking with my host behind the scenes, I was able to observe a specific characteristic of the matsuri: that of reversal. In erecting this huge matsuri complex, tekiya form a virtual community. It is a network of streets, alleys, ranks, kinship, and relationship as intricate as any ‘regular’ community. The complexity is expressed in both spatial and relational aspect: in the simulated village arrangement and in the simulated family relationship. Groups of ‘outsiders’ (katagi) come to visit this village. Their hosts are the tekiya. The visitors come to offer prayers and to enjoy the atmosphere of the festival. They play, eat, watch performances, buy souvenirs, and return to their homes. Tekiya regard and talk about them in exactly the same way that these citizens regards and talk about visitors to their communities. My tekiya hosts once revealed to me that the goods they sell are often of low quality or even fake. 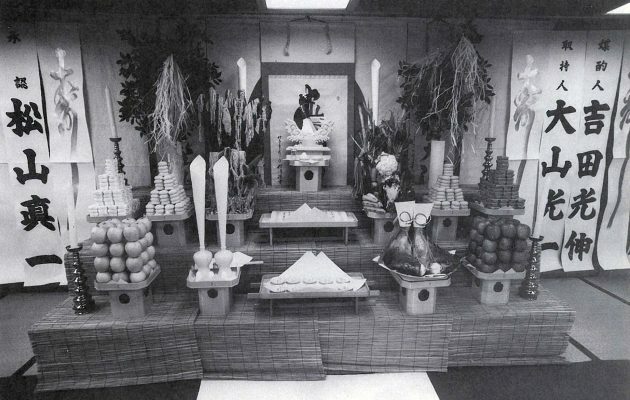 Chicks are sprayed yellow to look more attractive; customers are told the chicks are female (and can lay eggs); maize announced as coming from Hokkaidō is in fact bought at the neighborhood supermarket; damaged goods and rootless bonsai are sold; and the food is of poor quality. Although some of the tricks and poor quality of goods are known to the festival public, not once did I hear people admit this. The result is that no real cheating takes place. Consequently, what attracted me here was not the vendors but the customers. They would never eat yakisoba of such low quality at home, but they do at the festival. In less than desirable conditions; they gather around dubious fortune-tellers, they buy chicks they know will die in a few hours, or clothes that will not last through next month (all this consumer-conscious age). Are they unaware of the tricks? Or do they want to be tricked? What is the frame of mind of the festival visitor? One feature is the willing suspension of disbelief, as coined by Coleridge to describe the readiness of the theatre spectator to accept the unreal events on the stage, to ignore the very fact that actor X is pretending to be character Y for several hours. This is an agreed convention. Within an agreed time and space the two sides agree to pretend and to believe in that pretence. The event is a ritual creating an alternative to the daily world. The matsuri is one such place: an area to encounter alternative worlds. And for the opportunity to temporarily live in and touch an alternative world, one changes one’s behavior, world-view, value system and standards of quality. What occasionally occurs is not merely a change, but a reversal. The matsuri is where alternative worlds can be encountered or temporarily realized. Tekiya, dominant actors in the event, play the role of the vagabond merchant, supplying mystery, information, goods and stories of that “other” world. This feature was much more powerful in the past, when mass communication and transportation weren’t so easily available. Also, within the matsuri, tekiya offer the opportunity of an open encounter with outlaws. The outlaw is a popular hero of any culture, but is usually only found in literature or films. In the festival the outlaw can be personally, but safely, encountered: he is behind his stall, and the encounter is limited to advertisement and bargaining. A mental partition is delicately, but firmly established between customer and vendor. (This, we may remember, is exactly what has always been done when encountering other figures who represent alternative worlds: saints and theatre actors, to mention only two examples.) In both, a partition is established which securely maintains a physical and mental distance between oneself and representative of the other world. There is no real contact. The other remains an outside, albeit a close one. This is the same with tekiya. The visitor takes part, as both spectator and actor in the synaesthetic event called matsuri. This event consists of sounds, smells, colors, voices, and performances of the first level, which contain the whole space of matsuri. Here visitors are both spectators and performers. Other performers are vendors, fortune-tellers, and so on. However, it is the vendors who are the real producers of the event, arranging the frame and structure of performance. This broad definition recognizes all acts of display, ‘traditional’ performance, or advertising as performative. Tekiya performances vary. One is the misemono, the vulgar, circus-like shows in amkeshift theatres. Another is the already-mentioned announcement or advertisement performances, aimed at enticing people to buy goods. Another is the performance of amezaiku or garasu-zaiku artisans, whose attraction is no less in the making of gluten or glassware, than in the quality of the finished product. Customer are certain to gather around an artisan they can watch creating a doll, although another stall not far away may display the same, or even better merchandise, but with no performance. The direct selling techniques (uchikata in tekiya jargon) have been recognized lately by both conventional performers and scholars as ‘true’ performances. Being a foreign researcher, my position during my fieldwork ahs been outside the complex relationship that exists between the outlaw and straight socities. I was neither tekiya’s ‘signifiant other’ nor a ‘hostile other.’ I was an ultimate stranger. This produced, during the first stages of my study, a different process of self-presentation especially devised for me. 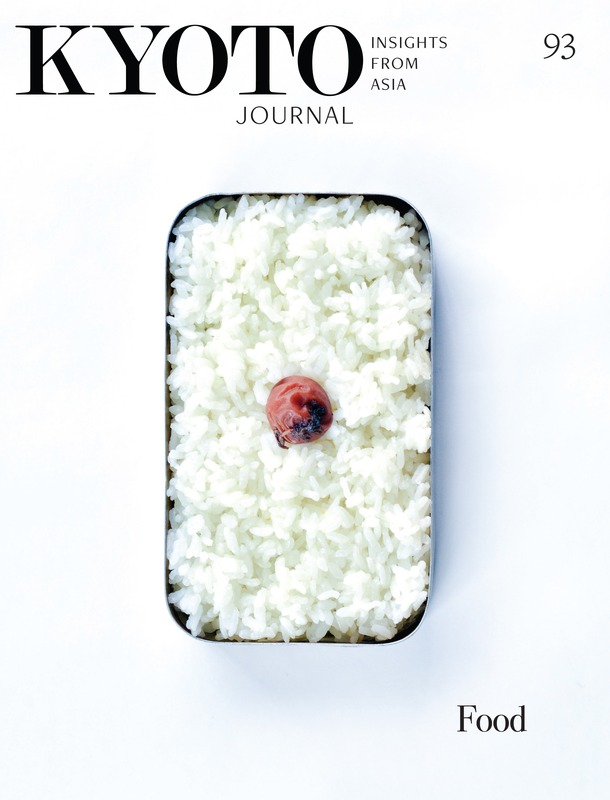 The tekiya were eager to demonstrate the ‘Japaneseness’ of their world. This approach later changed, as encounters became frequent and defenses on both sides were pulled down. But naturally I never entirely ceased to be a stranger, at least in some respects. This granted me freedom. I often expressed my views and at times argued about what I was told. Sometimes this surprised my partners; a Japanese would never dare to say these things to them. But I was given the ‘license of the fool’ (or the stranger). I was told by some that they were grateful to me for coming to them free of the usual prejudices. However, no one can start a study of the yakuza free of prejudices. Having lived in Japan for many years, I could not have escaped the common stereotypes of the yakuza as either bearers of long-vanished values of valor and honor, or bloody gangsters. Some journalists tend to flatter their informants, to maintain continuous access to the inner yakuza circles. Consequently, the yakuza image is often depicted in an extremely flattering way. The other extreme is to show yakuza as almost non-human, cruel creatures. Needless to say, neither view is correct. The dialectic ink of the tekiya-yakuza world with mainstream Japanese culture may be illustrated by comparing it with the American mafia. The traditional cultural context which determines the mafia’s code of behavior is dominantly foreign; that is, Sicilian-Italian. Members are Catholics. Ranking, language, terminology, food, family codes, etc., are derived from a context completely foreign to the American mainstream. This does not mean that their codes of behavior are entirely non-American; they have certainly adopted many aspects of the American way of life. However, the deep structure of their system has been unique for a long time, by definition of the group: immigrants, a more or less ethnically homogenous minority, with a set of traditions from a specific cultural milieu in the Old World. The case of the yakuza is entirely different Whatever their deviancy, the cultural context in which they act is wholly and purely Japanese. Deviant acts and group codes all lie within, not without the Japanese system, unlike the American mafia. This is true also of the many Korean and fewer Chinese yakuza members. They act, and proudly so, within the Japanese cultural system. Some of the my hosts were eager to emphasize their feeling of solidarity with me. It was the ‘solidarity of outsiders’ excluded from the mainstream of Japanese society. A few (educated?) members even elaborated on my Jewish origin, as a point of solidarity between two labelled, discriminated minorities. After all, both tekiya and Jews are wandering merchants. Both have been stigmatized as deviants. Is it not as much as social fact, even though few of us pay attention to it, that the corporate economy kills and maims more, is more violent, than any violent committed by the poor (the usual subject of studies of violence)? By what reasoning and necessity is the ‘violence’ of the poor in the ghettoes more worthy of our attention than the military bootcamps which numb recruits from the horrors of killing the ‘enemy’ (‘Oriental human being,’ as we learned during the Calley trial)? But because these acts are not labelled ‘deviant,’ because they are covert, institutional, and normal, their ‘deviant’ qualities are overlooked and they do not become part of the province of the sociology of deviance. Despite their best liberal intentions, these sociologists seem to perpetuate the very notions they thing they debunk, and others of which they are unaware. I heard the same idea, although in simpler language from one of my tekiya informants. These, and other problems, keep occurring in studies such as this one, when the borderlines between ethnography and interpretation blur: research must be conducted with these problems in mind.